Fantasy and sci-fi novelist Terry Brooks is coming to this year’s Realm Makers conference. Minor adds that Brooks will do more at the conference besides book-signing. 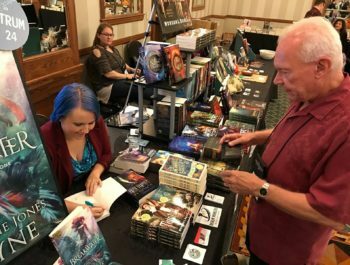 Several of our Realm Makers friends first met Terry Brooks during the fall 2017 World Fantasy Con in San Antonio, Texas. Well, it all started when he sat down at the table across from us to sign books. S. D. Grimm, Jamie Foley, and Catherine Jones Payne got in line after it had gotten shorter. . . .
Then right when Catherine was next in line, he had to excuse himself for a panel he needed to get to, but promised to return. . . . He returned to sign the book for her. Turns out, his niece writes about selkies, and so he bought Breakwater and asked Catherine to sign it! [Later,] I waited patiently at the entrance to the ballroom, careful not to miss when he arrived . . . before the awards dinner, [I] got to speak with him for several minutes. Then I reached out every six months after. Then after the new year, he accepted our invitation! Realm Makers hosts its seventh annual conference for Christian and faith-based fantasy writers Thursday, July 18–Saturday, July 20, at the Sheraton Westport Chalet in St. Louis, Missouri. Registration opens this Friday, Feb. 1. Next week I’ll announce the three finalists, based on your thumbs up during this evaluation phase and the feedback offered last week as the submissions came in. From those three, I’ll create a poll, and we’ll vote for a winner. 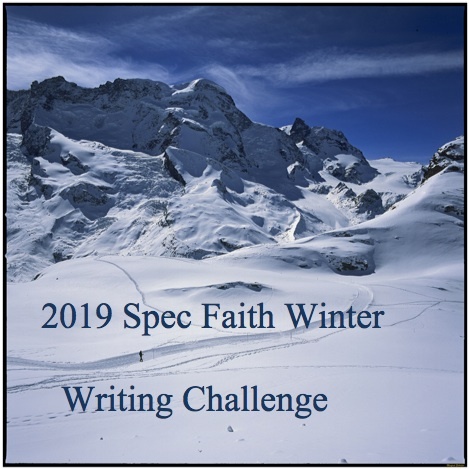 The Spec Faith 2019 Winter Writing Challenge is now closed to new entries. We received an outstanding group of submissions, both stories and story openings, and the evaluation phase is now underway. We want all the entries, even those that came in yesterday, to have a fair shot at the finals, so please take time to read and give your evaluation of the ones you haven’t read yet. I’m speaking to myself here, because I have not had a chance to read and give feedback to all of them. Remember, to indicate which you like best (no limit), reply to the entries with helpful comments as you see fit, and give a thumbs up. In your replies, tell the authors what you like about their story or give them constructive criticism which might benefit them (whether you choose to give a thumb up or not). Remember, no minuses, please. Such negative feedback doesn’t help a writer know what they need to work on, so it is not helpful. The drawback of a readers’ choice challenge is that it might turn into a popularity contest. On the other hand, we need reader feedback for the challenge to be successful. With both these facts in mind, I think the best answer is for Spec Faith visitors to connect with family, friends, and followers (our share buttons make this quite easy) and encourage their fair and unbiased feedback (as opposed to, “Vote for mine—you don’t really need to read any of the entries,” which I’ve seen from some other contests). Thanks ahead of time for letting others know that their feedback is a helpful part of the contest. And special thanks to each of the authors who shared their work with us. The selection of wonderful entries will make choosing a winner a tough call. What a nice predicament! To find the entries, follow one of the links in this article (such as this one)—the entries are in the comments section of that post. You might consider reading them last to first. What Gotham needs is not a dark knight, but a hero who operates by a different code. Fox’s Batman origin series, Gotham, has returned for its fifth and final season. The show features a bevy of proto-villains from the future Dark Knight’s Rogues Gallery—Poison Ivy, the Joker, Penguin, the Riddler. And new this season, Bane. 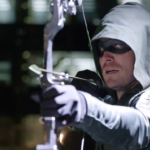 Over the course of five seasons, these villains have risen, fallen, and risen again, each time bringing a fresh round of scheming to the metropolis, hell-bent on either revenge, terror, seizing power—or all three. Also rising is the not-yet-Batman, Bruce Wayne (played earnestly by David Mazouz). The favored son of Gotham’s elite has evolved from being preyed on and held hostage by bad guys to picking fights with villains far more savvy in the streetwise ways of darkness. 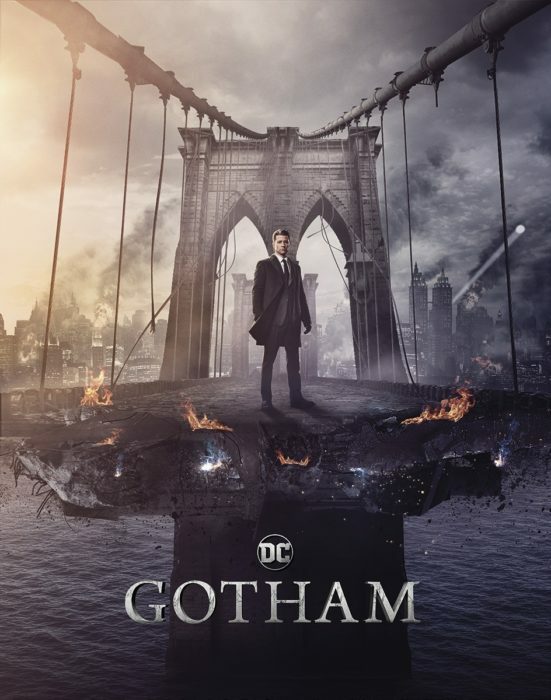 In its debut season, it appeared Gotham would tread familiar genre territory as a run-of-the-mill detective drama. But, a couple of episodes in, the series that was expected to be a crime procedural inspired by comic book events took a long look into the abyss of madness and never blinked. Despite the colorful characters, their over-the-top schemes, and the hellscape the city has become, the real character of Gotham is shown by its ordinary inhabitants. Gotham is not a place, but a people. Like the destroyed Asgard (at the end of Thor: Ragnarok), Gotham is the sum of its citizens. Pretend for a moment that Gotham is real. That Gotham is Dallas, Atlanta, or London. That Gotham is your town. What group of people would tolerate the insanity that goes on in there? Gothamites voted a wanna-be crime lord (Oswald Cobblepot, a.k.a. Penguin) into the mayor’s office. They cower in fear and let themselves be beaten or bribed into submission by criminals and thugs. They abide by the “order” imposed by mob families as a fact of life, allowing their city to be divided up into territories controlled by crime lords. Fear is the overwhelming emotion of Gotham. Fear permits the city’s shadows. As Scarecrow tells a certain police captain in the opening to the fifth season, “Why would I need light? Fear grows in darkness.” And, as Scripture says, “Fear hath torment” (1 John 4:18). The city’s tolerance for sin is the origin of its fear-driven nature. Fear drives even Gotham’s flamboyant criminals. The whole city is wrapped up in a sense that, whatever has happened already, the worst is yet to come. And now that the worst has truly come—Gotham cut off from the outside world, running low on food, fuel, electricity, and sanity—the city’s inhabitants see no need to change their ways. With the exception of a few hundred civilians and a few faithful police officers, Gotham has become a divided wasteland—every faction fearing the others and every man for himself. In the premiere episode of Gotham‘s final season, Bruce quotes that line back to the police captain. But it’s hard to see how either one of them still believe it. Gordon came to Gotham as an idealistic cop who believed truth and justice would win the day. He cleaned up the Gotham Police Department, deposed a corrupt commissioner, and exposed a feckless mayor. But time and time again, Gordon found himself allying with the lesser of several evils in order to “save” the city. His own status as the city’s white knight was irreparably tarnished after word got out that he shot and killed Mayor Theo Galavan (albeit with much prodding from Penguin who convinced Gordon that Galavan was too well-connected and the city’s justice system too corrupt for Galavan to get the punishment he deserved). Still, Gordon clings to a high ideal that some semblance of righteousness can be found. For storytelling purposes, Gordon has to pretend he doesn’t know it, but the show makes no bones about Bruce/Batman being the only one who can eventually “save” Gotham. Repeatedly, the viewer (and Bruce) are told that he is the dark knight Gotham needs. He is the chosen one. However, a troubling theme emerges. As Bruce is on his hero’s journey, he is told, first by Ra’s al Ghul and then by the proto-Joker twins, Jerome and Jeremiah Valeska, that he is “at war with his true nature.” That he should embrace the darkness inside him. That the only way to defeat darkness is to become the night. While Bruce Wayne is painted with an even greater innocence than Jim Gordon starting out, the insistence that he must become “dark” in order to succeed in fighting Gotham’s criminals sets him up to be, like Gordon, a tarnished hero in the end. The idea that darkness can drive out darkness is most annoying. 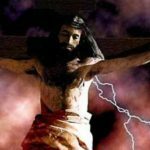 Christ was accused of attempting it, and he pointed out its absurdity. When his detractors claimed, “He drives out demons by the ruler of demons!” (Matthew 9:34), Jesus replied, “If I drive out demons by the prince of demons, by whom do your people cast them out?” (12:27). What Gotham needs is not a dark knight, not a brutal vigilante who rises from the muck of the city’s underworld dealing a savage hand. Such a creature can never inspire the perfect love that casts out fear and inspires hope among its citizens. The Bat only lends credence to the shadows, telling the people he swears to protect that the night is to be feared. That they best scurry home and leave the streets to the savages. Gotham’s true salvation can only come from a hero who operates by an entirely different code. A hero who rises with light and hope, dispelling fear and darkness. To paraphrase Martin Luther King Jr., darkness cannot cast out darkness, fear cannot cast out fear. Only love can do that. Gotham won’t teach that lesson. The show is already bound to a largely predetermined outcome. Gotham, the city, will always be a dark place with a lone dark knight battling the dark forces that seem to breed there. The city’s consistent gloom and its people’s persistent fear are a testament to Batman’s failure. Though he’s probably the hero Gotham deserves, he won’t ever be the savior Gotham needs. Is Glass worth seeing in theaters? My review finds plenty of good, but I’d say this film is worth the price of a ticket only for hard-core fans. This article will take a dive into the M. Night Shyamalan film, Glass. My review will commit a few spoilers, but also will avoid giving away the twists of the last act of the story. In other words, I won’t tell you how the story ends. Or even the precursors to the end. Note that I usually feel confident in my ability to analyze stories. I mean, my view may be controversial or unpopular and it may even be (perish the thought!) objectively wrong at times because I may miss something that clearly is in the story but I somehow overlooked it. But even though I know I can be mistaken at times, I don’t usually experience much doubt. I know what I think; I know what I like–and I (usually) am confident in my opinion. Glass is an exception for me, not that I can’t analyze it at all but I find the basic question of was it good? a bit difficult to answer. Was it good? That really depends on what you mean. Were James McAvoy’s personality shifts entertaining? Yes. 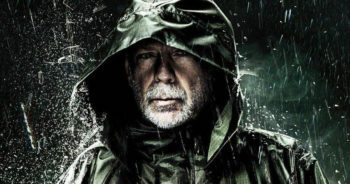 Were the battles (there were more than one) between McAvoy’s “beast” and the mild-mannered “unbreakable” superhero (played by Bruce Willis) dramatic and worth watching? Sure, not awesome, but good. 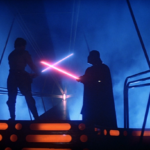 Were there powerful moments involving secondary characters? Sure. Did the ending prove to be genuinely unexpected (obviously for me)? Why, yes, it did. But there’s a quite a lot of dialogue in this movie, which isn’t of course inherently bad. A lot of pondering over the nature of superheroes and villains and specific pointed attacks on the ability of the trio of main characters to believe they actually are special. 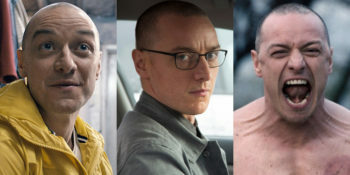 Because, as the movie previews give away, all three of them are locked up in a psychiatric ward in the middle act of the tale, where a self-proclaimed specialist in treating people with superhero delusions genuinely tries to convince each of the three that they are nothing more than mere mortals. Which was…interesting. But mostly not riveting. This is a story driven by concepts more than characters. And it’s biggest problem (or is it a problem?) 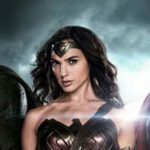 is how it does something that stems off an aspect of superhero films. You see, an interesting quirk of the superhero film genre is “real” superheroes mostly exist in a universe in which fictional superheroes don’t exist. Oh, you have small references in certain films to the existence of the comic book world, e.g. 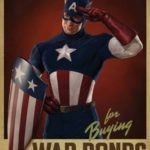 Logan featured a scene where Wolverine dissed his own comic book as mostly fictional, or we hear references concerning Captain America that would allow him to have been in comic books back during WWII. 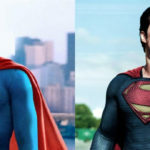 But if superheroes were real, they’d be in high demand at comics conventions–but that doesn’t happen because the fictional universes that contain real superheroes apparently don’t contain fictional superheroes. Which is why nobody references what happened in their comic as guidance or documentation as to what they should do next or already did in “regular” superhero movies (other than that one brief reference in Logan). In Glass, superhero comics of fictional protagonists exist in addition to the rarity of actual “super” people. But what doesn’t seem to exist in that story world is already-existing intellectual discussion of the meaning of superheroes. The characters in Glass explain aspects of being a superhero as if the audience had never thought of these things, not ever, which perhaps could be true for the story universe Glass inhabits, but it isn’t true for our universe. I don’t know if that aspect of the story was good or bad. I suppose it depends on who watches it. For many superhero fans, it may seem unnecessary or even pedantic. I also appreciated the efforts made in the story to explain away all the extraordinary aspects of the characters in the tale. It really did seem like a sort of case study on the power of skepticism to attack the reality of the extraordinary, a story aspect with a direct application to the Christian life…even if I felt the execution of the use of doubt was somewhat lacking. Each of the characters had a secondary character linked to him–for the superhero, it was his son. For Glass, his mother. For the beast, it was the captive who was released by a kinder personality of the conflicted monster. All three of these characters were interesting in relation to their main character…but they also wind up teaming up together in a way that seemed artificial to me. Ok, I’ve done a fair amount of talking but I’m not sure how clear I’ve been. Bottom line, was this movie worth the price of a theater ticket? 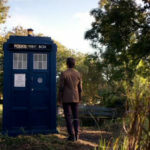 Or would it be better to wait to see it on a small screen? I would say for the perhaps 10% of you would be those who adored Unbreakable and Split and just can’t wait to see how the trilogy ends, the movie is worth its price. 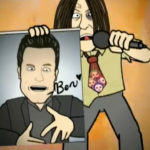 It you’re that eager, go ahead, watch it–it delivers enough interesting stuff to be worth your time. But for maybe 90% of viewers, I think the answer to my question is “no.” It’s worth seeing mind you, but you’ll be perfectly happy having waited for it to be released to Netflix or DVD. So how does speculative entertainment treat the problem of these supposed human pests? Get rid of ’em. 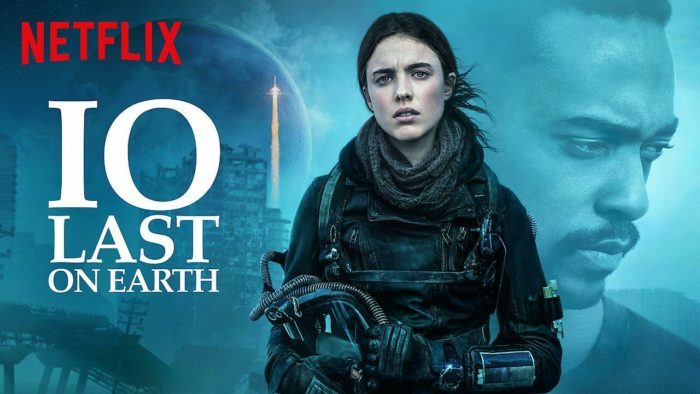 After striking meme gold with the popular-yet-ludicrous scifi/thriller Bird Box, Netflix is back with more speculative shenanigans. While the title of Bird Box refers to a one-second scene in the movie (I haven’t read the book so I can speak to the title’s relevance in that regard), it’s a good bet that the writer chose it because it sounds cool. 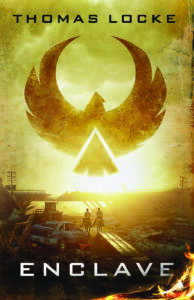 In the case of the end-of-the-world slow burner Io, the title is a blatant bait-and-switch. 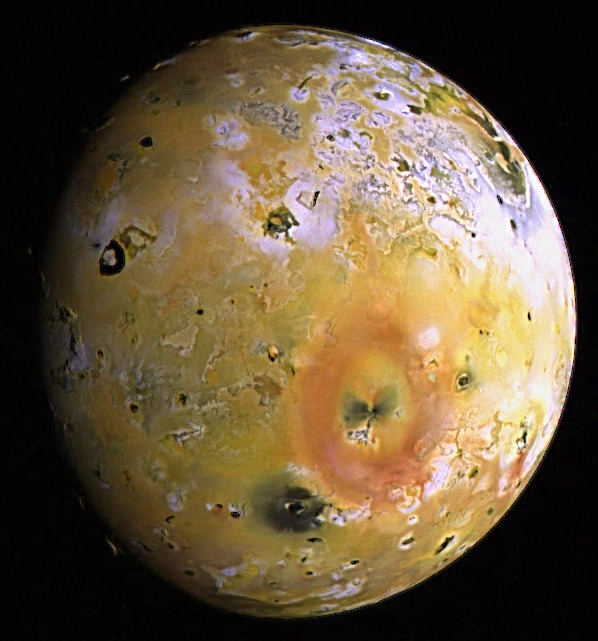 The film takes place entirely on Earth with characters hoping to reach a colony orbiting around Jupiter’s second most popular moon (Europa already has its own movie). 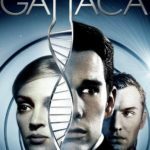 The location of the colony is inconsequential to the film; it might as well have been Mars, or the moon, or even a low Earth orbit space station. But the writers/producers/directors probably realized that they had a dud on their hands so they decided to catch the eyes of unsuspecting movie watchers like me who are easily roped in with promises of science fiction fun. Suffice it to say, I hated this film. 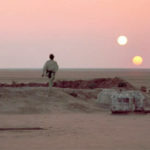 I didn’t even watch the last forty minutes; I simply fast-forwarded and watched at intermittent moments. The movie does have some cool concepts and a few good scenes, but overall, it’s a snoozefest. Not to mention how wildly incongruous the technology is. We apparently have the capability to put a sustainable colony in orbit around a moon next to Jupiter, and we learn from radio transmissions between characters that a mission to Alpha Centauri will launch from that colony, but the technology on Earth looks just like what we have today. I would think that some of the leaps and bounds in space travel technology would have rubbed off on everyday life, but that would ruin the dystopian-punk aesthetic. That’s a minor gripe compared to the problems with pacing, acting, chemistry, plot, etc., as well as flagrant trespasses against science. The gist of the movie is that the Earth has turned hostile against us because we are dumping too many plastic straws in the ocean (I seem to recall another movie where this was Happening…) and transformed the world into an inhospitable wasteland, kind of like how the body develops a fever to battle an illness. I’m not a climate change alarmist but it is obvious that mankind is hurting the environment in numerous ways. As this issue becomes more and more prominent in the news and in our conversations, it will inevitably show up in our entertainment. Why all the hate for the human race? From a Christian perspective, the answer is simple: the world hates what God loves. Jesus did not die for animals, or the biosphere, or “Mother Earth.” He died for people. But in a fallen, sinful world, the darkness does not comprehend the Light that shines in its midst. People cheer on animal rescues but march for the “right” to kill unborn babies. They get outraged at the mountains of filth in landfills but think nothing of the filth coming into their homes through the media. God told mankind to subdue and dominate the Earth and everything in it, but in a corrupt world ruled by sin, humanity is reduced and the Earth is elevated. This doesn’t mean that we are wrong to be concerned about animal extinction or environmental pollution; as stewards of this planet, it is our duty to care for it. But to consider the people that Jesus bled and died for to be a “virus” is a lie that Satan is only too glad to propagate. Thinking of people as a disease dehumanizes humanity, and that makes it easier to justify transgressions against God’s most precious creation. Here’s where Lorehaven Magazine will go in the first half of 2019. Last month, Lorehaven Magazine completed its first year with four issues. As you may know, subscriptions are free. Each issue shares practical reviews of the best Christian-made, fantastical novels. Lorehaven also helps Christian fans grow with interviews and articles from leading creatives. It’s the perfect publication for your child, Sunday or Christian school class, youth group, or church library. 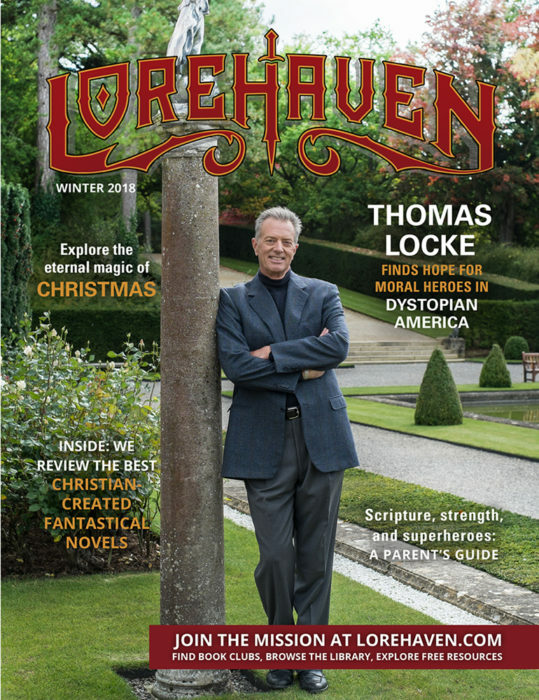 We want Lorehaven Magazine to find a way anywhere Christians love fantastical stories. Our spring 2018 issue will become available to anyone. Still haven’t found time to see the magazine? Starting this month, you can view our first issue for free in website article form. We’ll announce this on SpecFaith and Lorehaven social media, and with new stories here and my own web portal, EStephenBurnett.com. Then you can find the link to read issue 1 at Lorehaven.com without even a (free) subscription. We’ll start our first contest. Friends at Revell Fiction, publisher of Thomas Locke’s Enclave, will give away copies to a random winner in this first Lorehaven contest! Again, watch for more to be announced in early February. Lorehaven Magazine will be featured at the Realm Makers Mobile Bookstore. Dallas/Fort Worth readers, come by the Great Homeschool Convention on Thursday, March 7 through Saturday, March 9! There, at the Fort Worth Convention Center, you’ll find the Realm Makers Mobile Bookstore. This is the premier traveling retailer for excellent Christian-made fantasy, science fiction, and beyond. 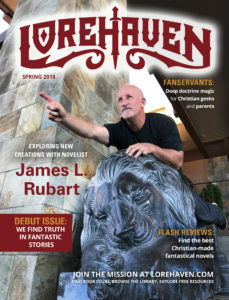 Lorehaven‘s spring 2019 issue will release. Books aren’t free, except for when they are. 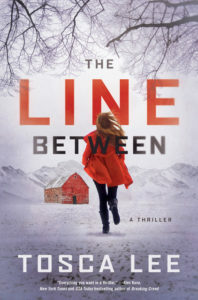 When our spring 2019 issue releases, we’ll also announce a giveaway of The Line Between. Visit Lorehaven Magazine’s booth at Teach Them Diligently in Waco, Texas. We’re planning to stick with the Lone Star State for Teach Them Diligently‘s annual conference. This is scheduled in Waco, Texas from Thursday, April 11 to Saturday, April 13. Stop by our booth to meet fanservants, talk books, and pick up magazines. Intro: the Lorehaven review team. Lorehaven is blessed with an amazing team of reviewers. It’s time you met them, in a special series here on Speculative Faith. Lorehaven‘s summer 2019 issue will release. Get more flash reviews, articles, and (just maybe) our in-depth Roundtable talk about story sexuality in biblical perspective. Lorehaven will return to Realm Makers in St. Louis, Missouri. Christian aspiring authors and fans alike, don’t miss this annual event. 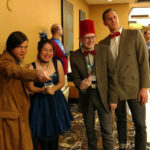 Realm Makers returns to St. Louis’s Sheraton Westport Chalet from Thursday, July 18 to Saturday, July 21. So will Lorehaven Magazine. 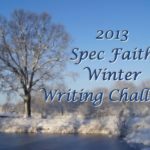 As we have for the last several years, Spec Faith’s winter writing challenge comes with rewards. It’s time for our winter writing challenge! Winter, when you want to sit before a warm fire, with a hot drink nearby, and create. 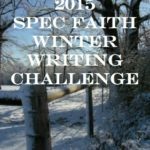 As we have for the last several years, Spec Faith’s winter writing challenge comes with rewards. There’s feedback from other Spec Faith visitors and there’s the potential for a $25 gift card from either Amazon or B&N. For readers, there are stories or story beginnings to enjoy. It’s all very win-win! 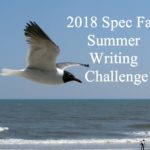 I’ll give a first line, and those who wish to accept the challenge will write what comes next—in 100 to 300 words, putting your entry into the comments section of this post. Readers will give a thumbs up (NO THUMBS DOWN, PLEASE!) to the ones they like the most (unlimited number of thumbs up), and, if they wish, they may give a comment to the various entries, telling what particularly grabbed their attention or in what ways they can strengthen their writing. After the designated time, I’ll re-post the top three (based on the number of thumbs up they receive) and visitors will have a chance to vote on which they believe is the best (one vote only). I’ll again sweeten the pot and offer a $25 gift card (from either Amazon or Barnes and Noble) to the writer of the entry that receives the most votes (as opposed to the most thumbs up). In the event of a tie, a drawing will be held between the top vote getters to determine the winner. You will have between now and midnight (Pacific time) this coming Sunday, January 27, to post your challenge entries in the comments section. 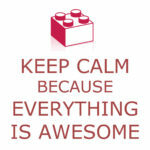 You may reply to entries and give thumbs up, this week and next. To have your thumbs up counted to determine the top three entries, mark your favorite entries before Sunday, February 3. Voting begins Monday, February 4. Feel free to invite your friends to participate, either as writers or readers. The more entries and the more feedback, the better the challenge. However, please note, the challenge is not a popularity contest. We want to give writers a chance to find out what readers actually think of their writing. Consequently, please do not ask your social media followers to give your selection a vote unless they read the other entries as well. Thanks for making this little exercise a valuable help to all who enter. Realm Makers Media is excited to announce its first anthology endeavor, RealmScapes: Heroes of the Realm. Pottstown, PA: Realm Makers Media is excited to announce its first anthology endeavor, RealmScapes: Heroes of the Realm. The book, edited by award-winning editor Danielle Ackley-McPhail, is scheduled to release in July and will launch at this year’s Realm Makers Writers’ Conference, in St. Louis. The anthology will feature stories by Kathy Tyers, L. Jagi Lamplighter, Wayne Thomas Batson, James Chambers, Steve Rzasa, Paul Regnier, and Jeffrey Lyman. These bestsellers and anthology veterans are crafting fantasy and science fiction stories that will explore the many facets of heroes and heroism. To fund the project, RMM is running a Kickstarter campaign that will close on February 12. If the campaign raises funding beyond its initial goal of $6000, Realm Makers will be able to open submissions to backers and Realm Maker members as a paying market. The number of stories will be determined by the final funding amount, but Realm Makers is prepared to include up to 15 stories total in the final book, should backer enthusiasm provide the means. 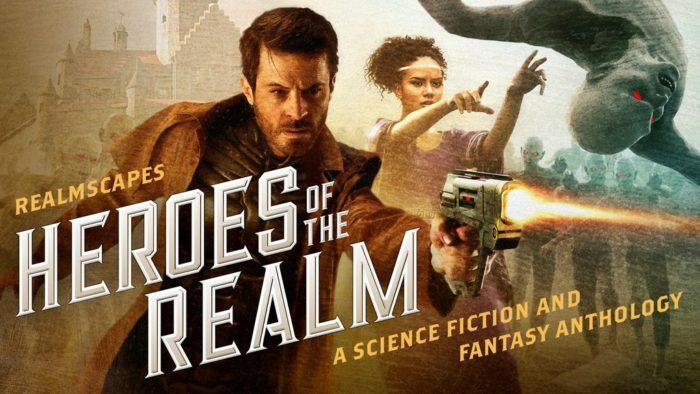 Individuals interested in supporting positive fiction with a speculative bend can visit the campaign at https://www.kickstarter.com/projects/1833656501/realmscapes-heroes-of-the-realm . 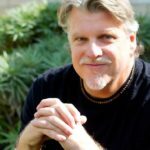 Please consider becoming a part of the growing Realm Makers mission of educating, connecting, and publishing today’s most talented speculative fiction authors. It’s important to note that Kickstarter is an all-or-nothing funding platform. If the project reaches its funding goal over the 28-day campaign, all backers receive their rewards and the book goes into production. If not, Realm Makers Media receives no funding and the project will be shelved. The success of this inaugural project will shape the future of RMM’s publishing endeavors. As an outgrowth of the Realm Makers conference and bookstore, Realm Makers Media aspires to offer publishing opportunities to talented writers of fantasy, science fiction, horror, steampunk, and all the imaginative genres in between. At present, the goal is to publish a biannual anthology. A single story published in Iraq isn’t much by itself–but perhaps points the way to future opportunities. God willing. This post will take a moment to celebrate what is in fact a minor matter: the publication of a single flash fiction story (“The Extent”) by only one author (“Kerry Nietz”) in a single Iraqi literary magazine (“Bien Nahreen” i.e. “Between the Rivers”). Of course only God knows if this single story will bear any greater fruit in the future of even more stories being published in Iraq and elsewhere. But I hope it does–and I’ll explain why. 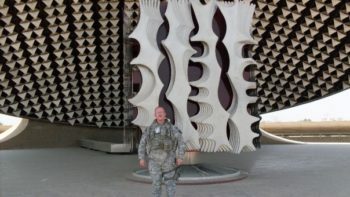 Let me start by talking about some of my personal history: I spent January through October of 2008 mostly in the so-called “Green Zone” located in Baghdad, Iraq. Post the US invasion of Iraq in 2003, a section of the capital city was reserved for the use of the United States and other international partners who formed what we all called the “Coalition,” who were in charge of Iraq at that time. 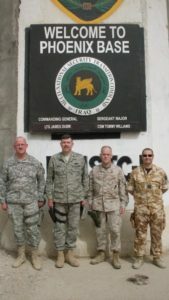 This international group gave the area its correct name, the “International Zone,” a place that was “green” as in permissive (to travel through), but only in terms relative to the rest of Iraq. The IZ, pronounced as separate letters (as those of us who were there often called the “Green Zone”), was at its greatest length around seven kilometers long and about two wide at the narrowest, an irregularly shaped strip of land along a bend of the west bank of the Tigris River. The zone was walled off from the rest of Baghdad, except for controlled security checkpoints, but it was not cut off from Iraqis. Some 2,000 Iraqis who lived in the IZ before it was separated from the rest of Iraq continued to live there. So individual camps with walls and security checkpoints existed within the IZ for foreigners, places that Shia militias and others subjected to rocket and mortar attacks. Myself and officers I worked with posing outside the entrance to Phoenix Base, in the IZ. I wore my helmet (or carried it with me at times) and body armor and a pistol as a side arm while in between IZ camps, required to dress like that by a policy mainly inspired by rocket and mortar attacks. Very uncomfortable when it got up over 120 degrees, which was a common temperature for an Iraqi afternoon. So on most days I wasn’t too interested in buying anything. Though on a few occasions I “window shopped” while trying to practice speaking what little Arabic I knew, letting a grinning Iraqi teenager show me old-style Iraqi money with Saddam Hussein on the bills, something Americans and Brits and our other allies in the IZ must have bought in large amounts, because that was usually the first thing they offered to sell us. But the second thing was usually pirated DVDs. I never bought any of the cash decorated with Saddam’s mustachioed face, but I actually did buy a few DVDs. Some of them had horrible quality, some weren’t bad, but all of them were copies of almost exclusively American movies pirated and made into DVDs in China, then sold back into Iraq (and other countries), where a tiny fraction of them were offered to an American soldier by Iraqi teenage boys. 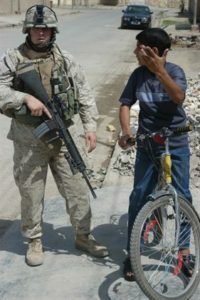 An Iraqi teen talking to a US Marine. Photo credit: www.marines.mil. If you’re an American who hasn’t traveled overseas much, you might presume that Iraqis would mostly watch movies made in their own country, just as we watch movies produced in our own nation. But that’s mostly not the case. 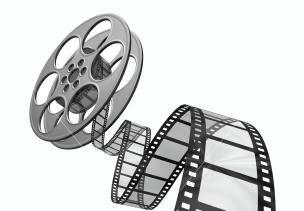 American movies are a massive international export, seen all over the world–even in countries where people can’t afford to see them in theaters or pay for regular DVDs, via pirated copies. In fact, even countries with a strong tradition of making their own movies, like France, are awash with made-in-USA culture. And this is also true to a somewhat lesser degree for books and music made in the USA. But note this is mostly true for the mainstream popular culture. Authors like George R. R. Martin and Anne Rice are translated far more than authors writing with Christian themes (though of course some Christian authors get translated and sell overseas). 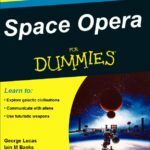 I think this creates an opportunity for Christians who write speculative fiction–because at least some foreigners are used to receiving fiction made in the USA, are used to accepting and having interest in fiction our nation generates. Especially our speculative fiction. That implies in my mind a great opportunity exists to sell stories in other countries and to perhaps even find credibility as Christian authors we may not enjoy in our own nation. Though my interest in overseas publication isn’t primarily about sales or credibility. It happens to be the case that some of the most popular products of our culture overseas are morally very grim, devoid of godliness. Wouldn’t it be great to reach the world with stories that instead subtly or overtly find a place for Christianity? Expressing something that points to a better and higher calling? Making use of an already-established international interest in speculative fiction generated in the USA, metaphorically hacking the system of entertainment that already exists of American culture flowing overseas–inserting into the system our own program? This is a notion I’ve been talking about for several years now. In that time I’ve had two books translated into Spanish, but neither released yet due to issues with revision of the stories. Likewise, friends have translated a short story anthology into Portuguese, but editing issues remain. And several projects in French are ongoing, likewise facing issues of editing and polishing. I’ve had to accept things haven’t happened as fast as I want–I’ve had to accept that God tells Christians to say, “God willing” concerning the future for a very good reason. We never know for certain what tomorrow will bring, which is something it’s only wise to humbly acknowledge (even as we continue to work and pray). But in the midst of me learning and growing in understanding, God showed his ability to work the unexpected. Through an online writer friend (Sarah Witenhafer) who knew an Iraqi translator (Ahdraa Naser) looking for help editing a book of Iraqi poetry translated into English (which I helped with), I made a connection that allowed for a particular Kerry Nietz flash fiction story to be translated into Arabic and published in an Iraqi Literary magazine. 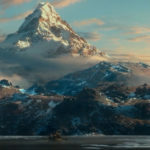 I was not some sort of mastermind astutely manipulating these events–the events just took place, via what would seem to be a set of accidents…but which I trust to be the providence of God. 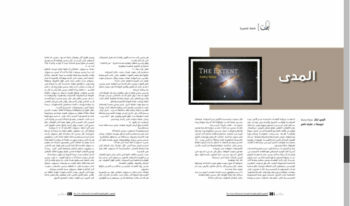 Screenshot of “The Extent” translated into Arabic. This is like a single seed dropped accidentally on unknown soil and sprouted up unexpectedly. It’s not a crop able to feed a multitude and in and of itself, it’s not hugely significant. But it shows it’s at least possible for the good seed to grow in the soil that had been unknown. Which inspires a little celebration: yes, this is possible! At least to a small degree, yes! God willing, someday soon many more opportunities to plant many more stories written by Christian authors (both from the USA and elsewhere) into foreign soil will present themselves. I’m looking forward to that day. But in the meantime, please understand while I’m celebrating what’s already happened. Thank you Sarah, thank you Ahdraa, thank you Kerry, but most to the point, thank you, thank you, God! There is the rare movie that can extend to behemoth lengths without losing power or charm, but the key word in this statement is “rare”.